We are a diverse team of talented individuals that are contributing to a legacy started in 1970. Known for our work in the dry land wheat industry Barnes Welding inc. is also a regional Leader in metal fabrication, providing high tech solutions coupled with old school trade secrets to all our clients. To be a friendly, resourceful team that is open to tackling new challenges proactively with our customers who appreciate the value of a long-term honest and reliable relationship. Part of our small town charm. We are committed to making you feel at home. We have a constant desire to better ourselves and to accomplish this we have to challenge ourselves outside our comfort zone. We are the experts in our field and it is up to us to predict and solve problems to the best of our ability. The success of our customers is what is most important to us. We value our people, our customers, and our suppliers. To be not the least-, and not the most- expensive in the industry – simply to be the best value. We understand that it is not what you know, it is who you know. We always stick with our promises because we understand the time saving efficiency in long-term relationships. We only promise what we can deliver. We value integrity more than an overflowing schedule. We plan to earn each customers trust. 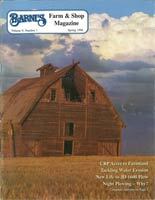 Located in our Farm and Shop Magazine page is an archive of the Barnes Welding Magazine that Dave and Weldon Published in the 1980’s and 1990’s This publication was vital to the current success of the company and helped create awareness throughout Washington Oregon and Idaho. 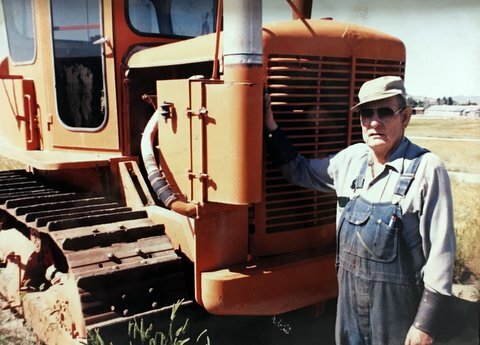 Weldon Barnes grew up repairing farm equipment on the family farm near Waterville. Evan as a young man he had the belief that anything made by man should be fixable by man. By 1971 Weldon’s neighbors knew of his knack at fixing things and soon his welding hobby grew into a welding and machine business. 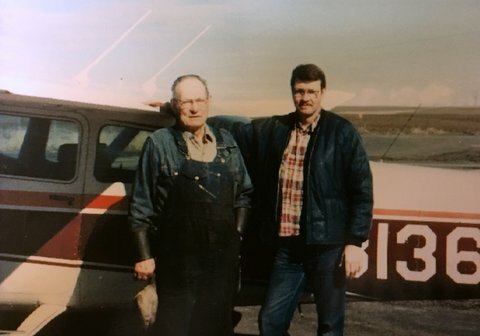 David Barnes, Weldon’s son, was always interested in his father’s work. He hung around the shop and eagerly helped whenever he could. It became a family joke between the two of them that they weren’t smart enough to consider the possibility that something couldn’t be fixed. After high school David went to Wenatchee Valley College and later graduated from Central Washington University. He majored in industrial education and spent all his spare time working with his father in the Barnes Welding & Machine shop. After college graduation David joined Weldon and together they devoted themselves to the growth of Barnes Welding and Machine. To expand their services the Barneses purchased a 36 inch by 12 foot metal lathe. This enabled them to machine bearing surfaces on semi axles, four-wheel drive tractor housings, combine axles and many other agricultural implements. A year or so later the Barneses acquired a universal power shear which enabled them to cut and fill iron orders in half the time; it also sped up fabrication of the trailers, header modifications, orchard mowers and structural support members. Later Barnes Welding and Machine purchased horizontal and vertical mills. These are used for making intricate and true surfaces on any stock material. These tools cut key ways on various combine and tractor shafts. High yield wheat ranchers constantly fight drill breakdowns during seeding. One of their biggest problems is the splitting of packer wheels when moisture conditions are perfect for planting—time wasted on repair can ultimately lower yields. As former wheat ranchers the Barneses are familiar with the problem. 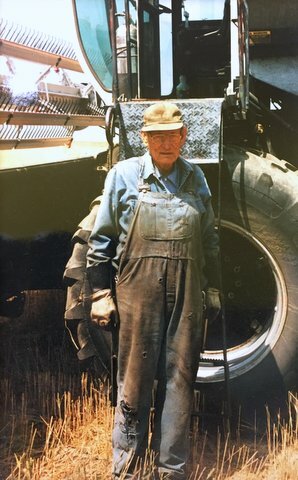 For that reason, when packer wheel rebuilds were invented Barnes Welding and Machine purchased a Lincoln 600 intershield wire welder so downtime during seeding could be eliminated. Our A & I Products Online Store offers over 85,000 Aftermarket parts for Agricultural, Industrial, Construction, Turf & Outdoor Power Equipment. Order parts online and have them shipped to your door.